Sara Ali Khan, with her chirpy and happy-go-lucky attitude, has managed to win the hearts of her many followers. Her brilliant on-screen presence and magnetic appeal have earned the young star many appreciations from both fans and critics alike. The actor made her big Bollywood debut in Sushant Singh starrer Kedarnath and since then has been bagging multiple projects. Another big project landed in the actor’s kitty and we are more than happy with the cast ensemble. Sara will be starred opposite Bollywood powerhouse Varun Dhawan in Coolie No. 1. Kalank Song First Class: Varun Dhawan and Kiara Advani Make for a 'First Class' Pair! - See Pics. According to a report published in BollywoodLife, Varun and Sara will team up for Coolie No. 1 and the confirmation comes from the film’s writer Farhad Samji. Farhad has worked with Sara in Simmba and after the roaring success of the film, the writer is more than happy to collaborate with her once again. The film will also mark the third collaboration of Varun with his father David Dhawan, after Main Tera Hero and Judwaa 2. While Varun was already on-board for the film and now Sara’s confirmation is cherry on the top. Farhad, in an interview with Mumbai Mirror, said, “It is a boon for any writer to work with a dedicated actor like Varun. I narrated the dialogue draft to him recently and he immediately asked me for a copy, so he could rehearse his lines even though there is still time for the film to go on the floors. 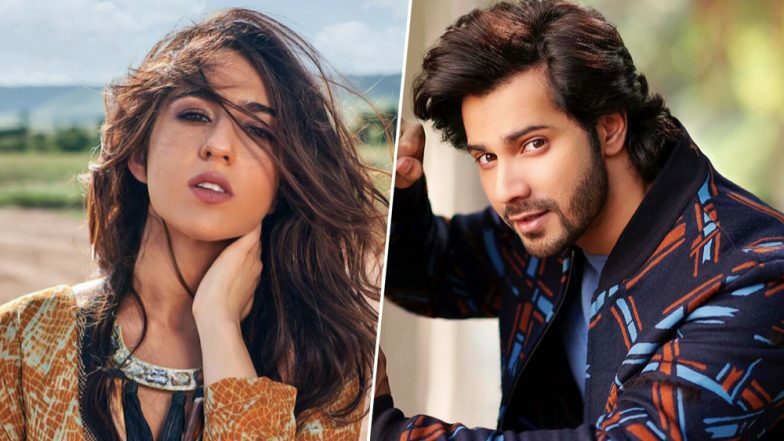 I am looking forward to teaming up with Sara for the second time.” Varun Dhawan Sends 'First Class' Holi Wishes By Teasing Fans With A Glimpse of Kalank's Second Song. The writer further revealed that the film is neither a remake nor sequel of Govinda starrer Coolie No. 1. He asserted that the project is more of an adaptation in a new format. The film will also be a cocktail of plenty of humour, colour and larger than life songs. Helmed by David Dhawan, the movie is slated to go on floors from July this year.